FTP upload: Using your FTP program, upload the non-zipped wp-coupon folder into the /wp-content/themes/ folder on your server. 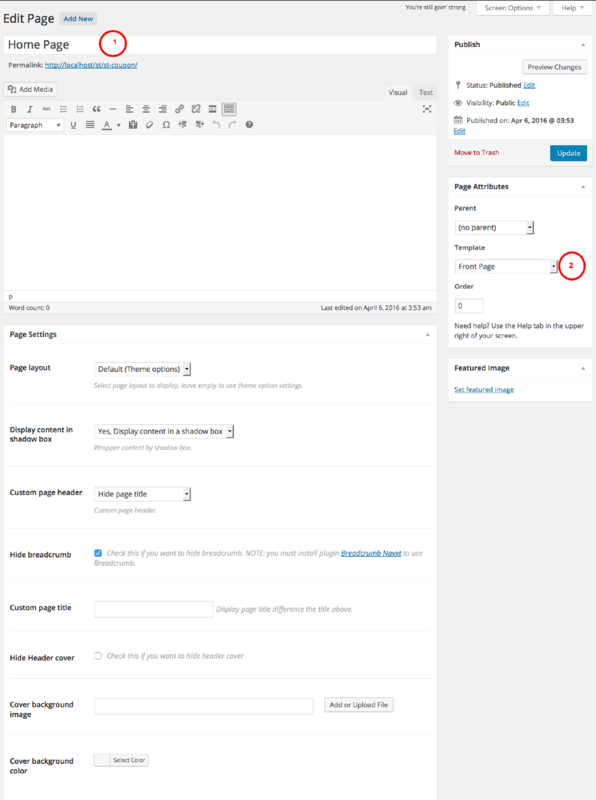 WordPress upload: Navigate to Appearance > Add New Themes > Upload. Go to browse, and select the zipped wp-coupon.zip file. Hit Install Now and the theme will be uploaded and installed. Once the theme is uploaded, you need to activate it. Go to Appearance > Themes and activate wp-coupon theme. After activated wp-coupon theme click to Begin activating plugins to active recommend plugins. Assign posts to an existing account. Go to WP-Coupon -> demo content -> hit Import button and wait few minutes. 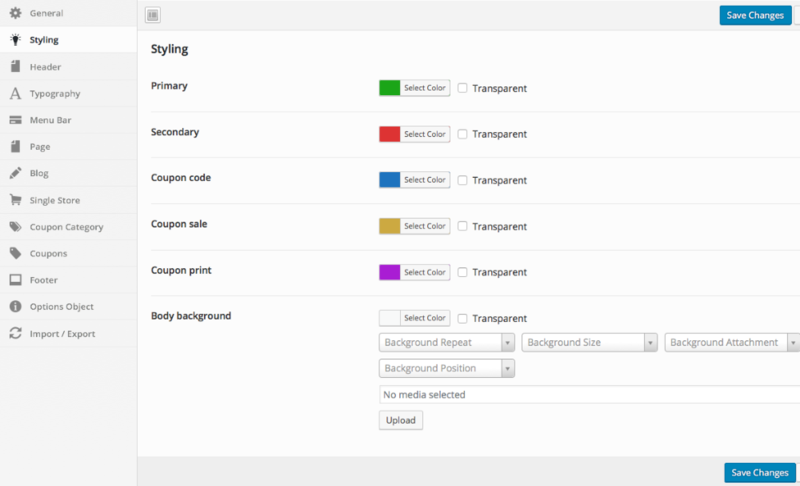 In admin page goto WP-Coupon -> General: here you can upload custom logo. Select a coupon type, there are 3 coupon types you can choose (coupon, sale (promotion), printable). Depend your coupon type that you selected at step 3 you will have different fields for each type. Coupon URL, where this coupon apply for. Hit "Publish" button to save your coupon. Other settings fields like the image bellow. Front page displays: Select a static page and then front page select a page you want to be home page. Hit Save Changes button to save your settings. Stop search stores, drag to sort. Change site layout (right sidebar/left sidebar/no sidebar). Coupon code: Color of coupon code icon. Coupon sale: Color of coupon sale icon. Coupon Print: Color of coupon print. Body background: Setup site background color, image,..
Show header breadcrumb for pages (yes/no). Page header cover image settings. 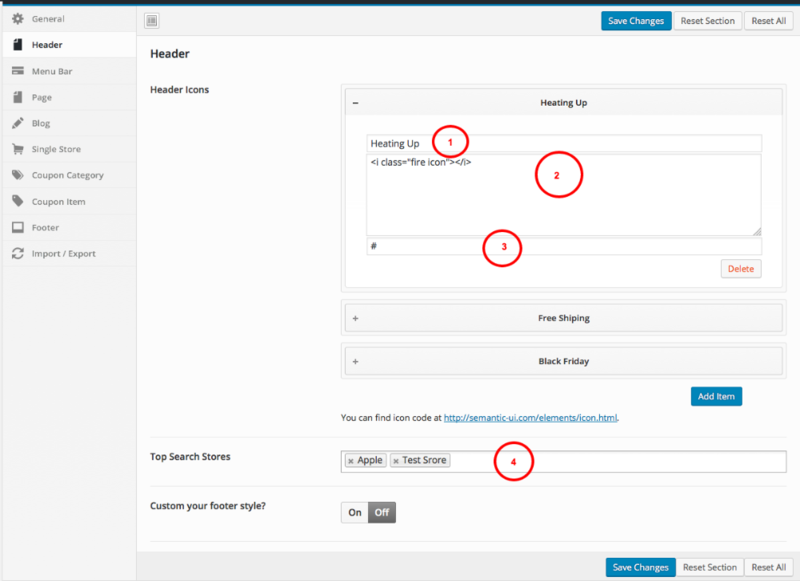 Page header setting for blog pages (single post, category pages, tag pages,...). 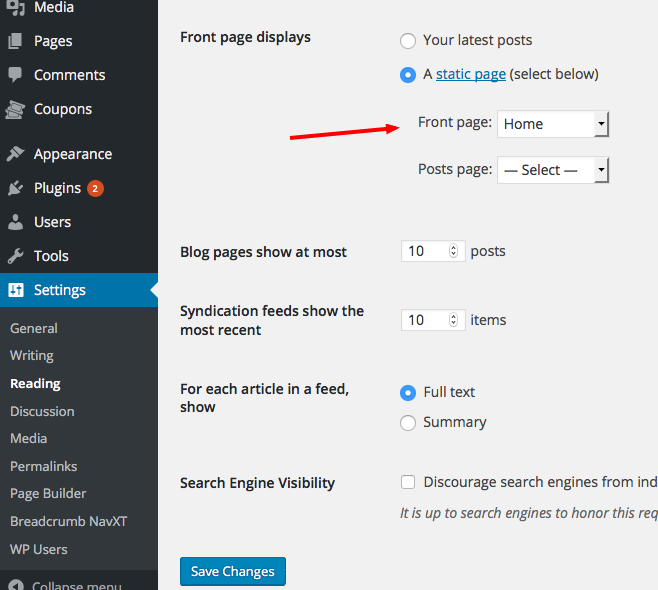 Show header breadcrumb for blog pages. Blog pages cover image settings. Enable/Disable social share under store description. 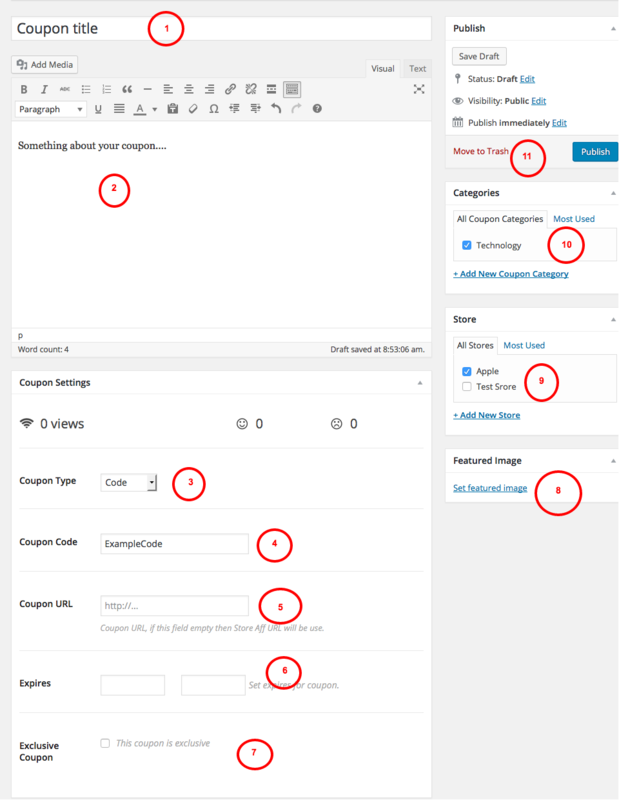 Settings Layout for coupon category pages (right sidebar/left sidebar/no sidebar). Enable social share under coupon category description. Coupon listing paging (Ajax load or paging navigation). Run expires action time: Run action after coupon expires x seconds. Note: Schedule function run on timezone GMT + 0, it runs hourly, twicedaily, daily, and maybe more if have filters. Before footer: Custom HTML/Text you wan to show before footer start. Footer widgets: You can enable/disable footer widget, change footer widget columns, change footer columns layout.